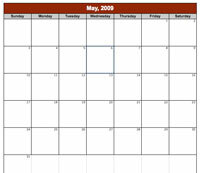 Here’s a complete calendar in Excel using the following formula. This is the first edition. Each month is on a separate worksheet. After revisiting this, I forgot how to do arrays in Excel. Follow theses steps in order for this code to work if you were to start from scratch.